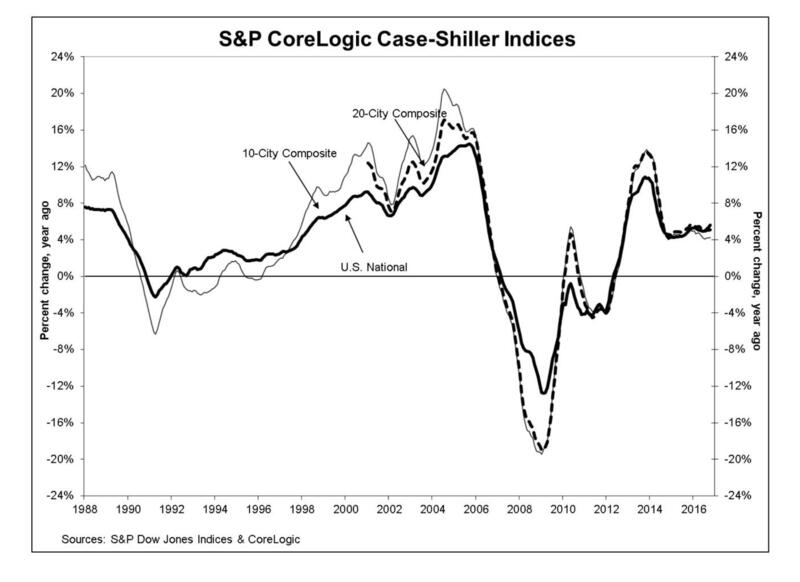 At the end of December S&P CoreLogic Case-Shiller released their National Home Price Index showing that home prices rose 5.6% in October (year over year). Their 10-City Composite remained unchanged and the 20-City Composite posted a 0.1% increase in October. After seasonal adjustment, the National Index recorded a 0.9% month-over-month increase, while both the 10-City and 20-City Composites each reported a 0.6% month-over-month increase. 13 of 20 cities reported increases in September before seasonal adjustment; after seasonal adjustment, all 20 cities saw prices rise. Seattle, Portland, and Denver reported the highest year-over-year gains among the 20 cities over each of the last nine months.